Happy 50th to the (New) Aquatic Birds House! 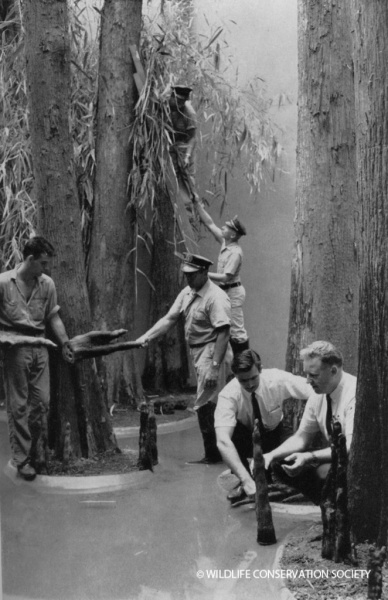 This week on Wild Things, we’re celebrating a big Bronx Zoo milestone: the fiftieth anniversary of the opening of the new Aquatic Birds House. 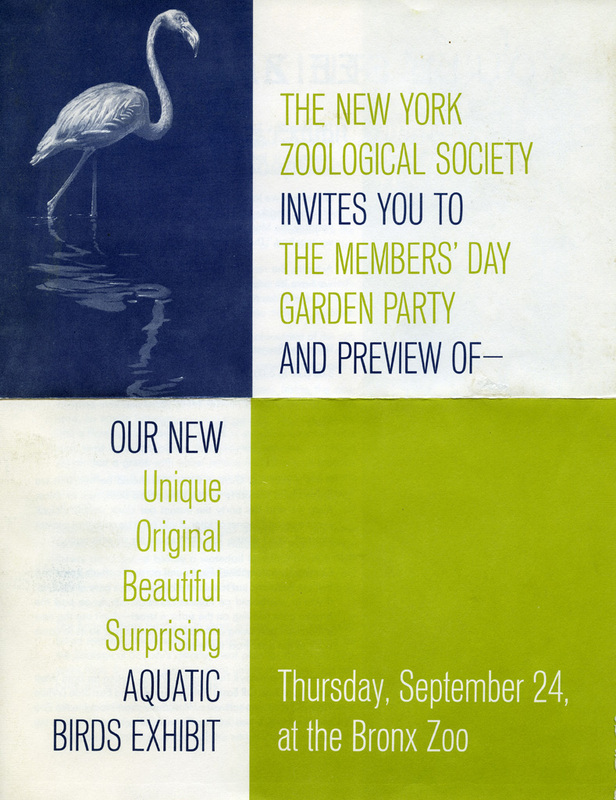 On September 24, 1964, New York Zoological Society members flocked (sorry! had to do it!) to a preview of the new exhibit, which featured herons and spoonbills, rails and stilts, flamingos and ibises, storks and jacanas, avocets and hammerheads, stints and plovers, terns and cormorants, and other birds dependent on wetlands. 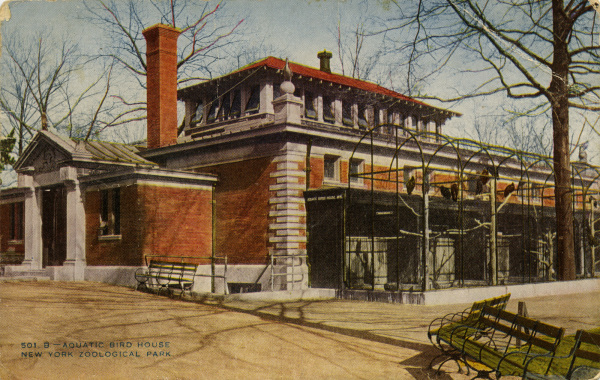 The new Aquatic Birds House was built on the foundation of the original Aquatic Birds House, the first building into which visitors entered when the zoo opened on November 8, 1899. Like other early Bronx Zoo buildings, the original Aquatic Birds House was an ornate, beaux-arts influenced structure, with decorative sculptures by A. P. Proctor. Preparing the new Aquatic Birds House, 1964. L to R: (standing) Unknown staff member, Andrew Winnegar, Eric Edler; (kneeling) William Conway, Joe Bell. 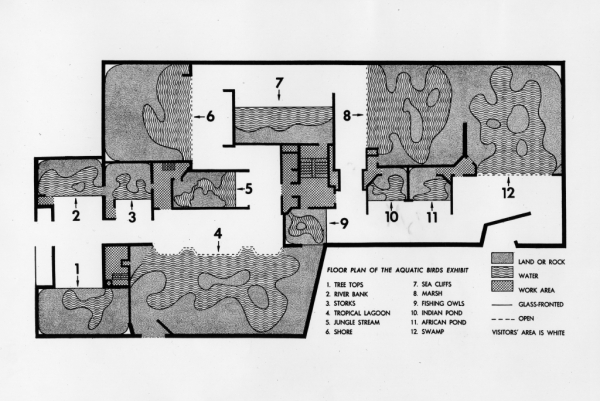 Image from Animal Kingdom, July/August 1964. 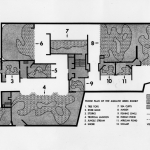 Although cost cutting and delays thwarted some planned innovations [see November 21, 1960 “Status report” memo], the building included such modern features as open-fronted displays, sound effects, and educational graphics. 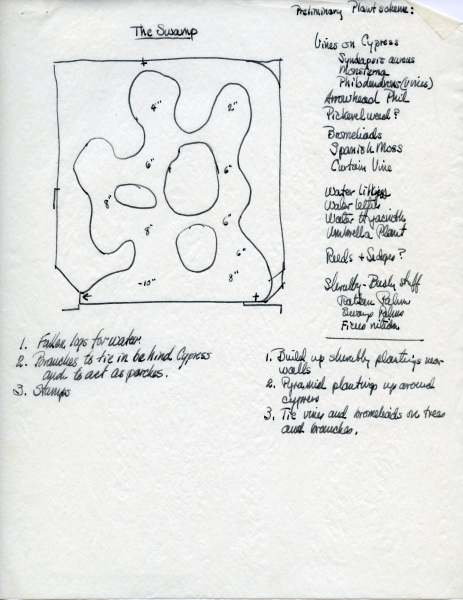 Designers used a combination of natural and fiberglass materials to create natural-looking but durable habitats for aquatic birds. 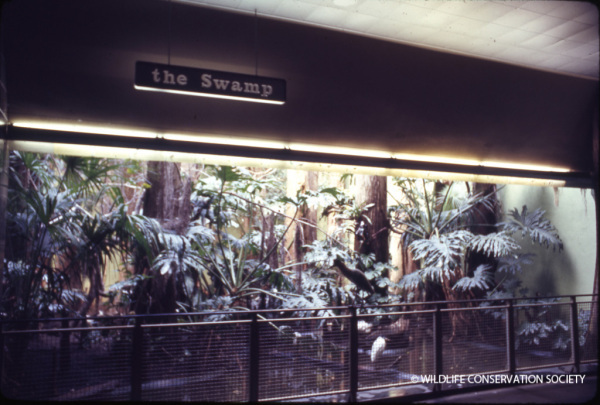 And the building was structured to allow for spaces and twists between compartmentalized displays so that visitors could focus on animals singly, rather than simply passing along a series of enclosures. What do you think about this message? Have you visited the Aquatic Birds House? What do zoo exhibits like the Aquatic Birds House show you about the importance of conservation?